Julie has a passion for whimsical, garden inspired designs. She loves anything that has lush greenery, combined with soft romantic blooms. Since starting her business in 2016, she has gained experience as a floral designer through self learning, freelancing for talented designers and also is a firm believer in continuing education, which she takes in the form of creative workshops whenever she can. Fiorella Floral Design was created out of a vision that started out as a creative interest in 2015. 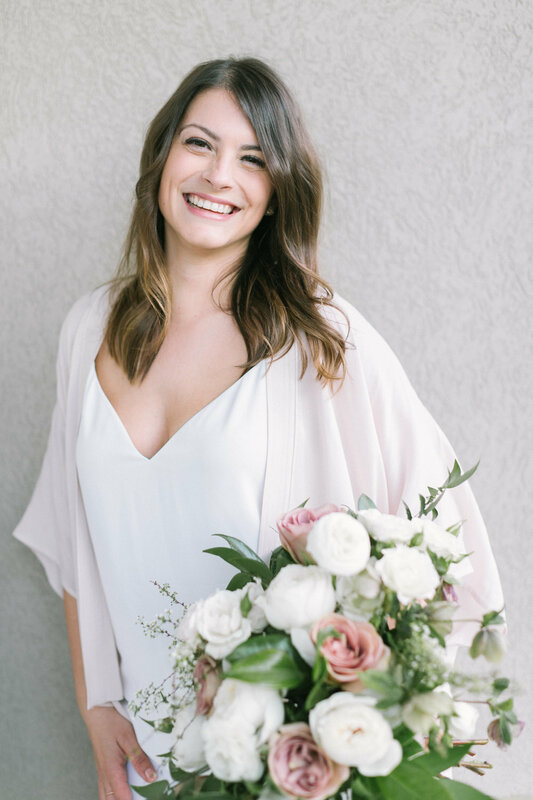 Julie loves to sit down with couples and help them thoughtfully combine florals with the other key elements in their event design to create a beautiful, cohesive design for their wedding day. She is based out of Ancaster, Ontario where she lives with her husband Chris and their adorable little Yorkie, Bella.